Compact, portable spill control for harsh and hazardous chemicals. 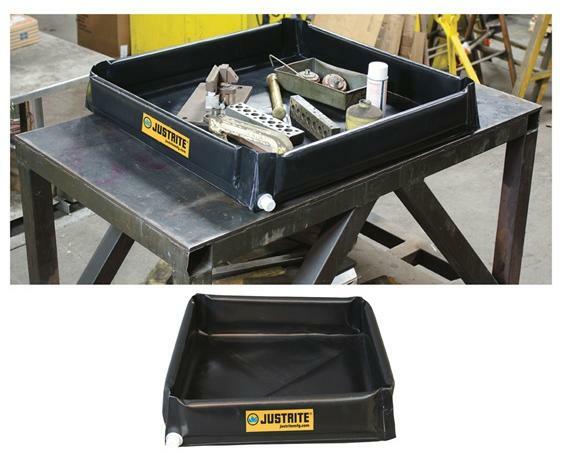 Safe and reliable for tabletop parts cleaning and fluid transfer operations involving petroleum products and acids. 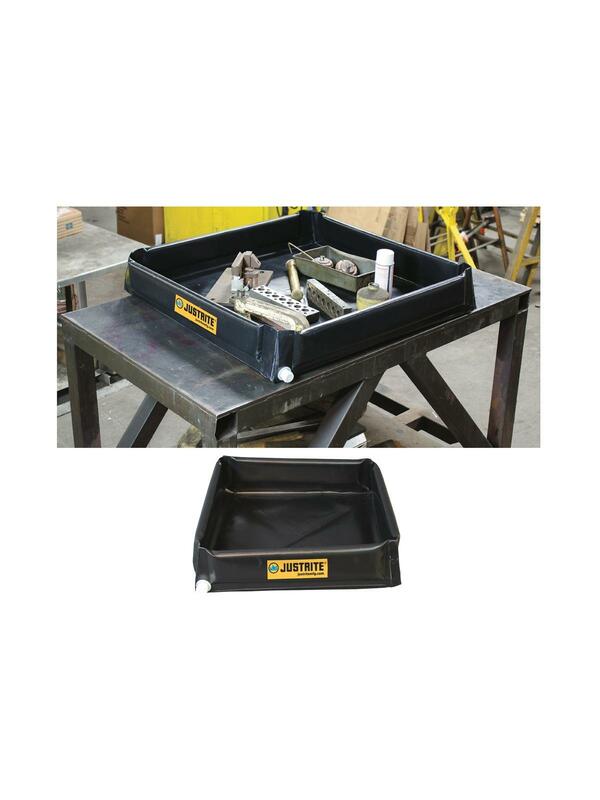 Mini-Berm Flex Tray is made from a robust modified PVC-coated fabric. It features rigid corner supports and sturdy foam walls. Each berm comes with a 1" NPT drain fitting. Simply attach hose and transfer fluids for disposal. Easy to fold and store. Utility strap included. FOB Shipping Point.